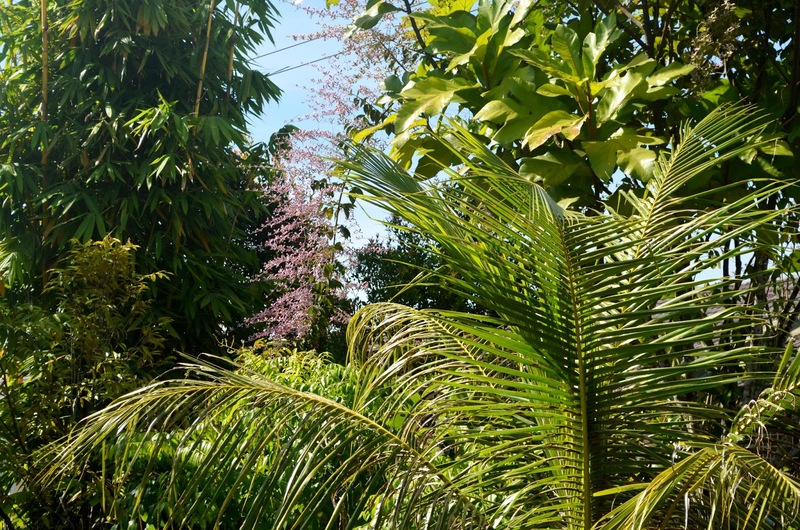 View of back garden, showing the bamboo clump in the background. 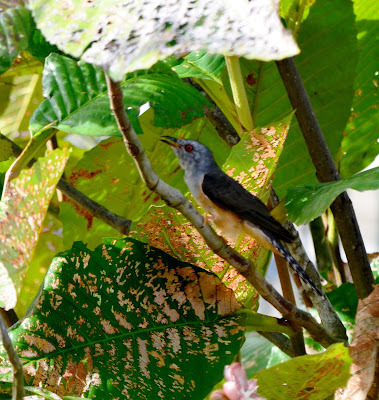 One of the criteria for the success of the Kambatik garden (Malaysian garden) is the prevalence of birds and other wildlife. 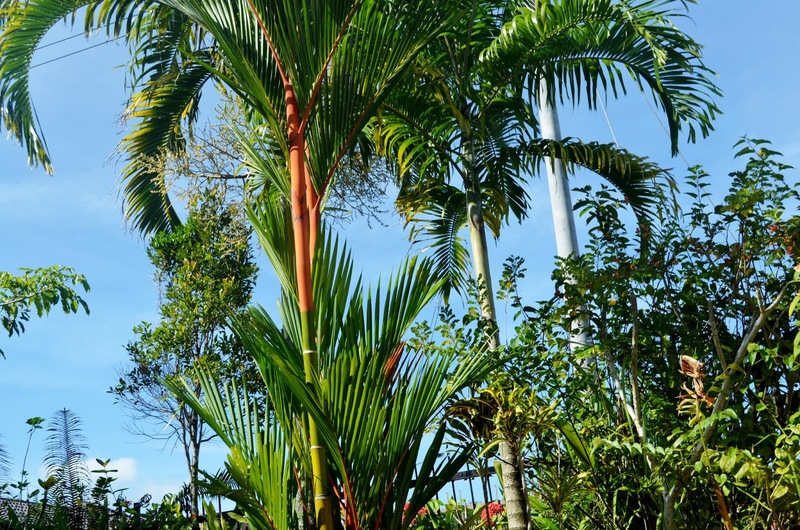 My recent visit to Kuching in July 2013 has prompted me to blog again about the garden after a lapse of writing in 2010,2011 and 2012. The garden is maturing now and most of the trees are showing their best. 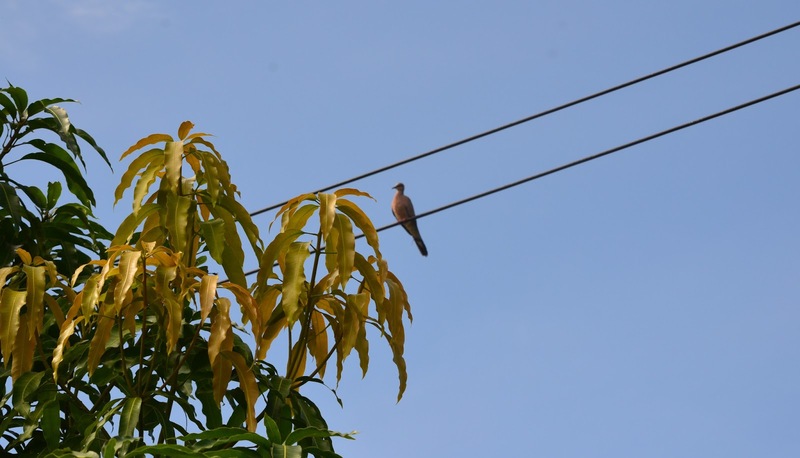 The bamboo clump has attracted the 'Tekukur' (Spotted Dove) to build its nest there. 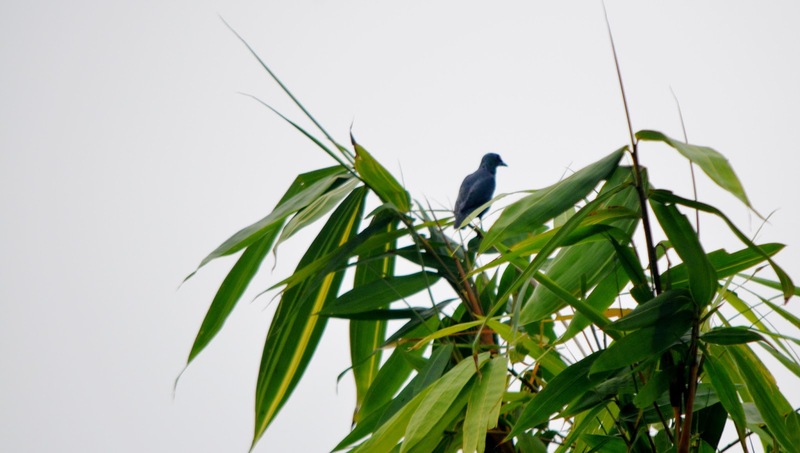 Perched high on top of the bamboo clump I saw the red -eyed Perling or Glossy Philippine Starling. 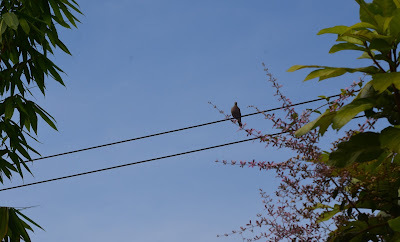 The Tekukur perches on the electric wire everyday, watching its nest from predators and occassionaly bringing food to its young. Tekukur (Malay) or Spotted Dove, seen near new leaves of the mango tree. 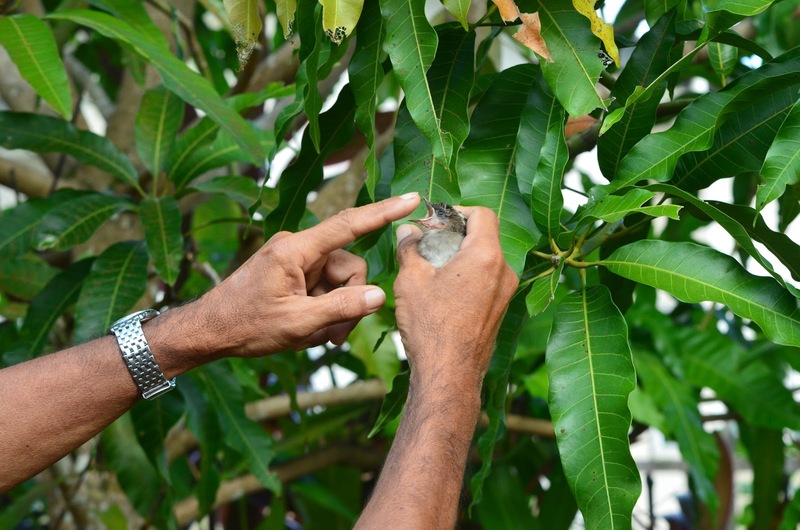 I was extremely delighted and thrilled to hold the young chick of the Bulbul just the other day. Apparently it has flown from its nest and being still infant it didn't manage to fly well. I held her in my palm to take some snap shots and after that let it free. 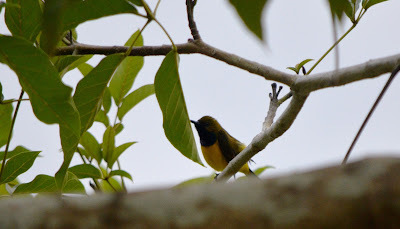 Other birds seen frequenting the garden now are the sunbirds.